In 2010, UCC was the first third level education institute worldwide to receive the Green Campus award. In 2013, it became the first third level institute to renew its Green Flag, and in 2016 successfully renewed it once again. 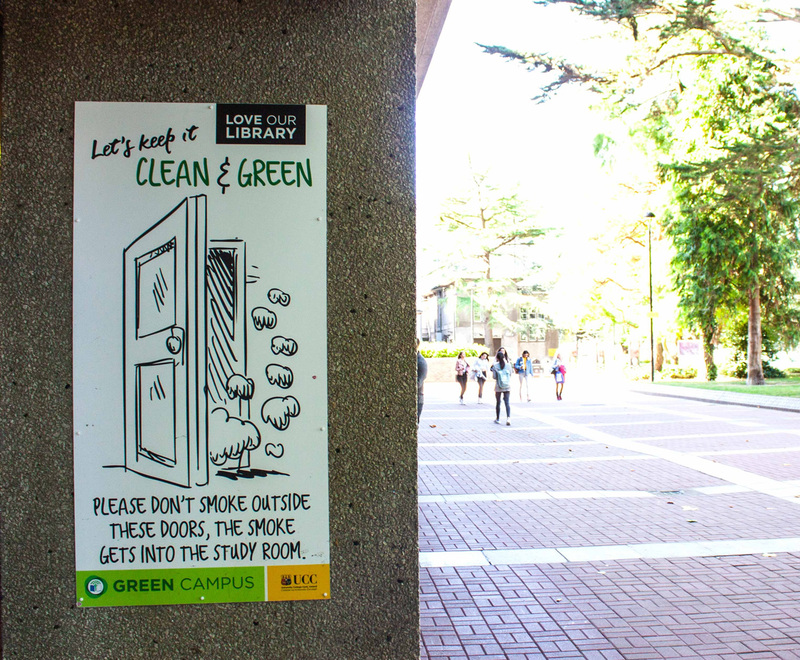 We were approached by UCC to help them push the initiative even further by implementing a programme of environmental messaging in key buildings on campus, and producing a specific Green Campus website. 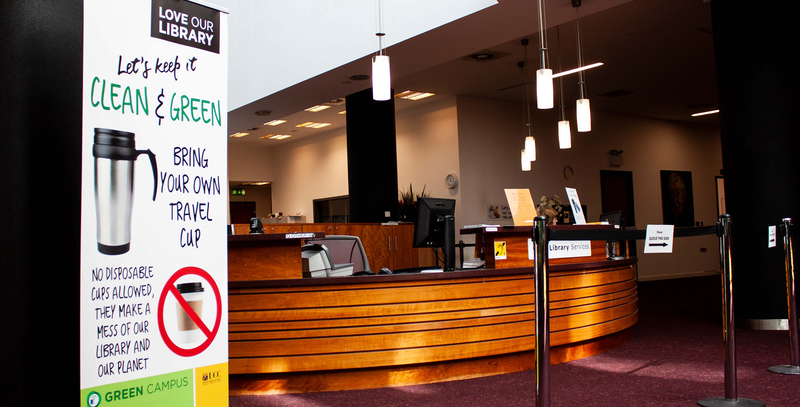 The first building to be messaged was the Boole Library, and a visual language was developed to engage the students and staff in an approachable yet authoritative way. 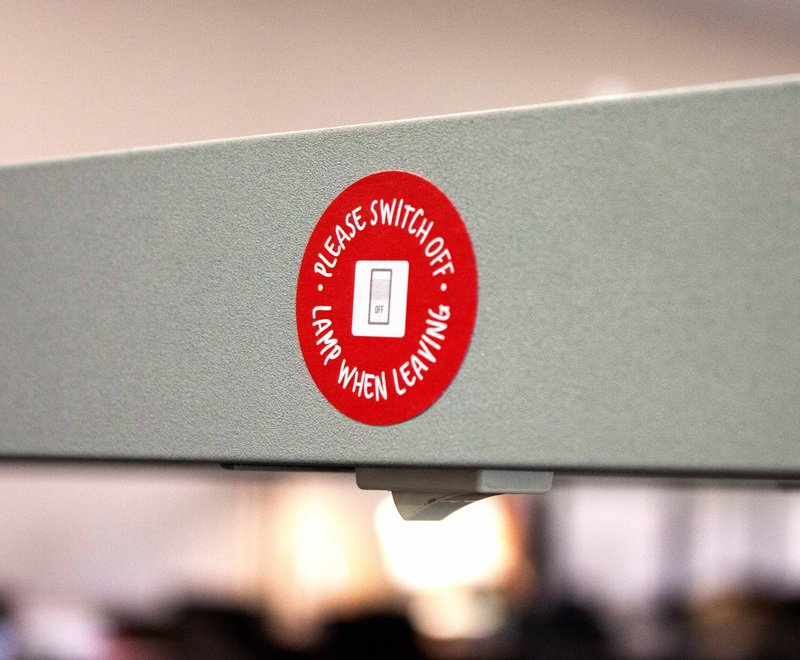 The campaign has been a huge success, reducing waste by 700%, saving 150,000kwh of electricity in 2017 by switching off lights and saving 3,000 bin liners over a four month period through correct labelling of recycling bins.